Johannes Vermeer was favourite to give Ireland a first Caulfield Cup success but a troubled passage for the Aidan O'Brien-trained runner up the home straight meant he had to settle for a fast-finishing third behind rank outsider Boom Time, trained by David and Ben Hayes and Tom Dabernig and ridden by Cory Parish. The biggest eyecatcher in the race was undoubtedly Marmelo who flew home to dead-heat for sixth under Hugh Bowman, and he was immediately slashed into 5-1 joint-favourite (from 12) with the majority of firms for the Melbourne Cup at Flemington on November 7 over a more suitable 2m trip. The other international raider, Wicklow Brave, was never in a position to land a blow from his wide draw in stall 16 and finished 12th, although he ran better than his finishing position suggests as the eight-year-old was embroiled in a traffic jam on the home turn under Joao Moreira. Johannes Vermeer came within a length and a half of becoming a history-maker and jockey Ben Melham, who received a 12-day ban for causing interference, admitted that he would have liked to have been closer to the pace throughout the course of the race. Melham said: "He ran really well. He just took a step backwards as the barriers opened and I wasn't quite happy with where I was. "I would have liked to have been a couple of spots closer in the run but, nevertheless, he was in a good rhythm, he was breathing and he was relaxed. "I had to pick my way through the corner and he was really strong at the line." While there was an overwhelming sense of 'what might have been' in the Johannes Vermeer camp, there was a sense of "what might lie ahead' in the Marmelo corner as he produced the perfect trial for the Melbourne Cup. It was exactly what the doctor ordered and Bowman said as much. 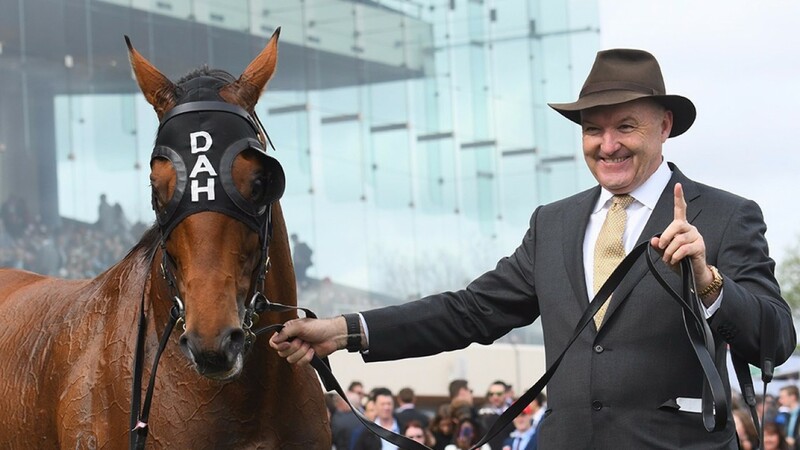 "It was an excellent performance and that puts him right on track for the Melbourne Cup," beamed Bowman, who was fined A$1,000 after weighing in more than 0.5kg heavy. A scorching early gallop was set by the former O'Brien-trained Sir Isaac Newton, with Katelyn Mallyon extending into a lead of a dozen lengths at the halfway mark. Unsurprisingly Sir Isaac Newton was unable to maintain such a strong pace and was swamped on the home bend. Melham meandered his way into contention on Johannes Vermeer but the crucial gaps did not open in the straight and Boom Time, whose passage was uninterrupted, had shot clear. Parish rode Boom Time out to win quite cosily by a length and a quarter from fellow outsider Single Gaze, with a further head back to Johannes Vermeer in third. Lord Fandango, trainer by Malton native Archie Alexander took an honourable fourth. David Hayes seemed as shocked as everyone else with the result. "I thought he was a genuine Group 3 horse but now he's a Group 1 winner and it just goes to show you that miracles do happen," said Hayes. "What a great horse. He's so tough and backed up off that gut-buster last week. That probably won him the race, having that good hard run under his belt." It was a first Group 1 for Parish and the winning jockey summed up how he felt by saying: "It’s an amazing thrill. That's my first Group 1 and for it to be the Caulfield Cup. You beauty!" Boom Time was the second-longest priced winner of the Caulfield Cup in the last decade, returning at 50-1 in British and Irish betting shops, while the runner-up, Single Gaze was 30-1. The Exacta on the TAB in Australia paid a whopping 941-1.